Join us August 6 for the ride of your life on a giant slip and slide in the Matthew 25: Ministries’ parking lot. 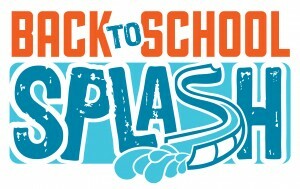 The Back to School Splash is a great way to cool off from the summer heat, warm up for the Hunger 5K, and have fun while helping those in need! Donate school supplies during the event to help students in need. Proceeds benefit Matthew 25: Ministries’ work with the poorest of the poor in Greater Cincinnati, throughout the U.S., and around the world. 2. Print out the Registration Form and return to Matthew 25: Ministries. 3. Register in person at Matthew 25: Ministries, 11060 Kenwood Road, Cincinnati, OH 45242. Note: Registration will also be available the day of the event at Matthew 25. Event will be open rain or shine. Concessions will be available (cash or credit card accepted). We recommend wearing appropriate attire. Please no jewelry, metal, or sharp objects permitted on the slide. Slide will involve use of Mr. Bubble Soap, which is dermatologist and pediatrician tested, hypoallergenic and tear-free. All participants must sign a waiver. Minors (under 18) must have a signature from their parent or guardian.